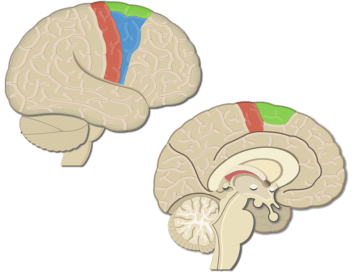 The basal nuclei (or ganglia) are collections of subcortical nuclei (or gray matter) in each hemisphere that help regulate voluntary movements that are selected, planned, and executed elsewhere in the brain. 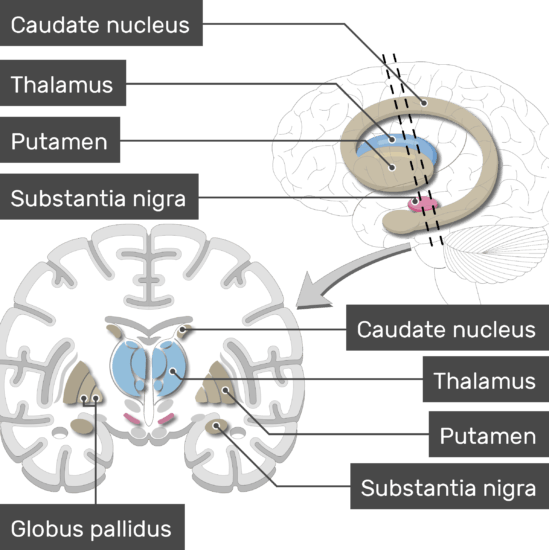 Each basal nucleus basically consists of four masses: the caudate nucleus, the putamen, the globus pallidus, and the substantia nigra. The caudate nucleus and putamen receive information from many parts of the sensory and motor cortices. 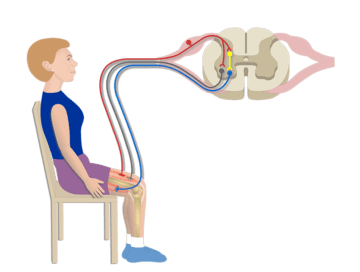 These areas, in turn, communicate with the globus pallidus, which sends output information back to the motor cortices by way of the thalamus. 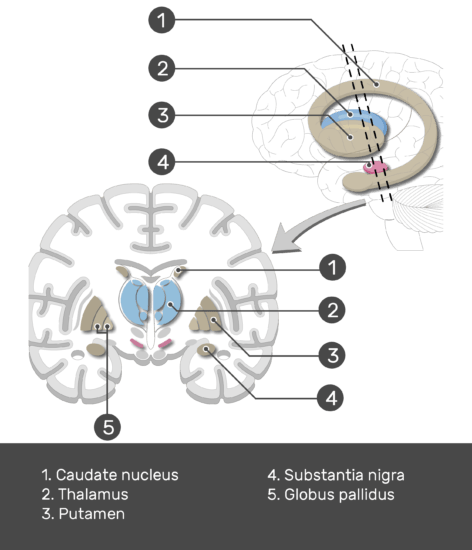 Signals sent from substantia nigra to the caudate and putamen modulate the output from the globus pallidus. 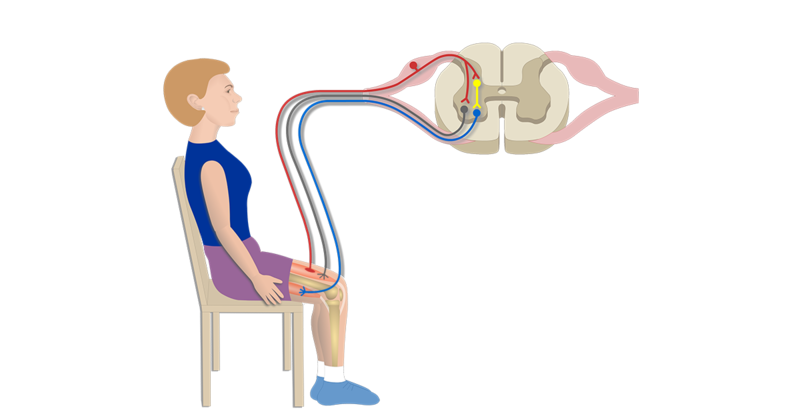 Through these connections, the basal nuclei help initiate and coordinate many of the slow, stereotypic activities, such as walking, while inhibiting many unwanted or unnecessary movements. Structure and Function of the Motor Cortex Areas; explained beautifully in an illustrated and interactive way. 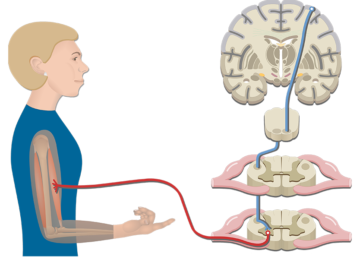 Stretch Reflex (Myotatic Reflex); explained beautifully in an illustrated and interactive way. 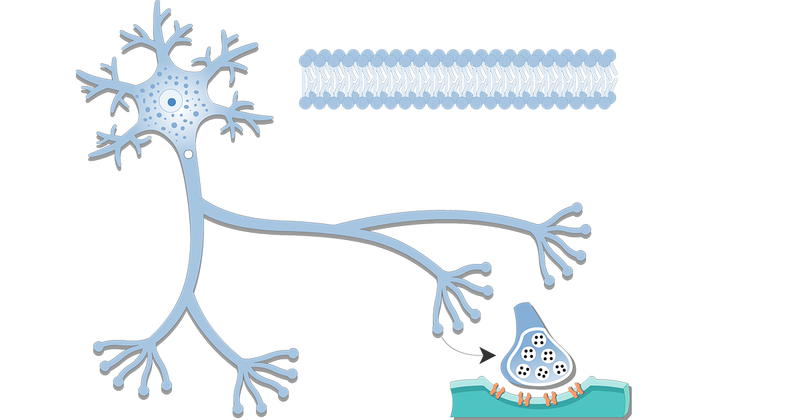 Pyramidal Tract Pathway; explained beautifully in an illustrated and interactive way.